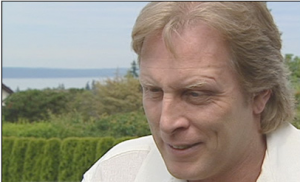 SHORELINE, Wash. — The film “Cars 2” has cruised to the top of the box office, and one of its stars is Ballard’s own Sig Hansen. 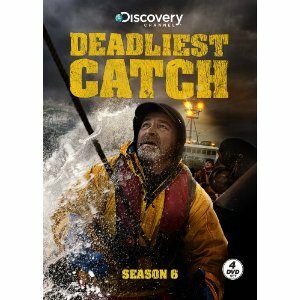 The “Deadliest Catch” crab boat captain has reeled in another career catch. In the film, Hansen plays a boat named Crabby that transports a secret agent to a rendezvous point out in the middle of the ocean. “That’s the name they came up with,” he said. “And it’s sticking, because (I’m) being called crabby all over the place. I guess it suits me.” The animated vessel replicates the one Hansen inherited from his father, whose initials adorn the bow. Instead of walking the plank, Hansen’s been busy walking the red carpet for his film’s premiere. Fame has opened a lot of doors for this fisherman. From book deals to video games, Hansen has already seen more success than even he expected. “I mean, I have a line of fish sticks and tarter sauce, and beer!” he said. But there is one opportunity Hansen says he’d like to snag — a spot on “Dancing with the Stars.” He watches the show regularly with his wife. “If ABC decides to have me on there, I don’t think I’ll say no. I’ll do it,” he said. But if he’s asked to be on the show, he may not make it far. Hansen admits he’s no Gene Kelly. “I’m a terrible dancer,” he said. And he’s not willing to completely forgo fishing for the foxtrot. When you’re hot, you’re hot. And this crabber plans to ride the wave. Hansen is also looking into buying a restaurant, creating spin-offs to his TV show and getting back in his boat. He says fame has made him realize that fishing, above all else, is what he loves most.